After a mild fall, one of the coldest winters in decades accelerated ice formation in the Eastern Arctic back up to near-normal sea ice levels this year. North of Labrador, Christian Haas and his team saw ice levels thicker than one metre during a research trip last week. "The ice has been quite thick according to the local hunters," said Haas, the Canada Research Chair in Arctic sea ice geophysics. "It's quite remarkable given that a few years ago, people broke through the ice because it was so thin." Environment Canada climatologist David Phillips said this year's January­/February stretch has been the coldest in 22 years in the High and Eastern Arctic. He said air temperatures would normally drop to -­35 C an average of 20 days in the two­-month stretch. But this year, those "brutally cold days" have come around almost twice as many times. 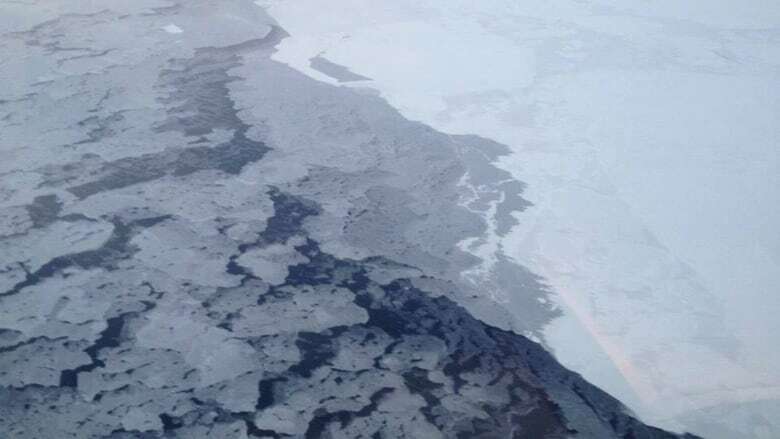 Meanwhile in the Western Arctic, above-normal temperatures led ice in the Beaufort Sea to be thinner than a metre in early March, according to the Canadian Ice Service. While the CIS is still awaiting data on patterns for 2015, the service's senior ice forecaster Claude Dicaire said he's keeping a close eye on the multi­-year ice in the region. "The only concern would be the ice that remains [year after year] in the Beaufort Sea has moved somewhat towards the South," he said. "It seems to be getting close and closer to the shore. Most of the ice on the south part of Beaufort Sea is winter ice, which will [melt]." Despite sea ice returning to near-normal levels of one and a half to two metres across most of the Canadian Arctic, the ocean as a whole this year is facing one of the lowest levels in decades. According to the National Snow and Ice Data Centre at the University of Colorado, sea ice extent across the whole Arctic last month was the third­ lowest February since 1981, and January was also the third­ lowest for its respective month. Sea ice extent is expected to reach its yearly high mark in the next few weeks. Despite a surge in cold temperatures in some areas, the NSIDC said it may set a new lowest winter maximum.